he seems physically strong too. hopefully by next year he can be first choice sub at least. The primavera has grown into a goldmine. I trust that even if he doesn't make it here, he'll be an above average serie A striker, which is not bad at all. His contract is expiring tho, so we need to fix that asap. please don't do a petagna. anyone knows why is his name Patrick not Patricio or something? Italian would be Patrizio, but is very uncommon among people born after 1980. Noticed that too in one of the videos cool videos that the new social media team shows us. They seem to have hit it off immediately. Nice. I'm guessing he's going to start vs Craiova. Hope he can impress again. I agree that we should consider keeping him in the team and give him more chances this season. however montella already confirmed that the reason bacca will not be part of the team that will travel in Romania is because of transfer activities. 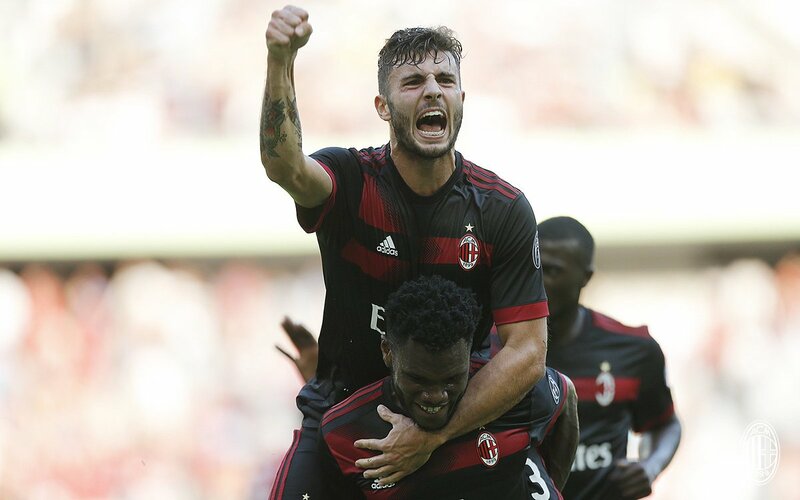 so this means that probably his transfer to Marseille will complete and we will end up with 2 strikers for the whole season (silva, cutrone). of course it is possible to play niang or borini there as well but since this is silva's first season it probably be better if there is another player to allow him more time to adapt to the team and take some of the pressure off his shoulders. Keep him. We are on 3 competition he got some games to play I believe. I would keep him...he looks like a very good finisher.